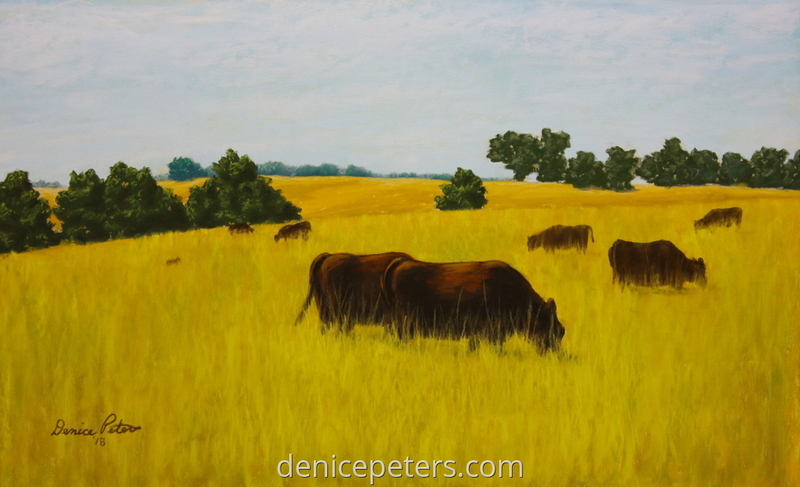 The 5th in my series of scenes from Whiterock Conservancy in Iowa. I came across these cows munching away in a pasture. It was a bright sunny day and they didn't have a care in the world.